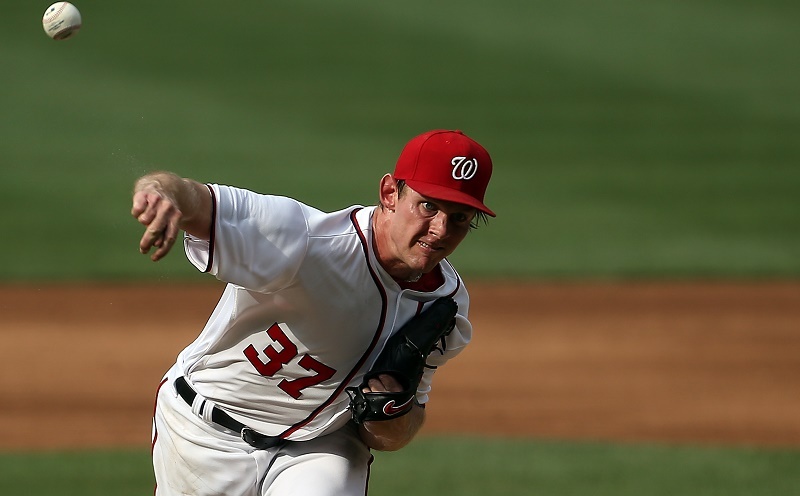 No one needed to see Max Scherzer and Stephen Strasburg mowing down Cubs hitters or back-to-back blown saves by Hector Rondon to know the Nationals are a threat to Chicago’s title hopes. But if there was a single takeaway from the exciting three-game set in Washington, you would probably run with that. Even in a series that featured neither Jake Arrieta nor Jon Lester, the confident Nationals presented a clear roadblock to any of the Cubs’ World Series dreams. All three games were low-scoring affairs, with two decided by a single run, and every starter outside of Kyle Hendricks (5.1 IP, 4 R, 3 ER) pitched six innings or more allowing three runs or fewer. It’s exactly what we expected from two top-five staffs. (Chicago remains MLB’s best with a 2.33 ERA.) The Nats — with Bryce Harper and Ryan Zimmerman struggling in the middle of the order — still had not solved the offense side of the equation. Nonetheless, Washington hitters put up enough runs to win each game, and the advantage of Dusty Baker’s bullpen was apparent, even with Jonathan Papelbon on the DL. Rondon, the Cubs closer who’d been a perfect 11-for-11 in save opportunities, took his first two blown saves of the season in the second and final games. Pedro Strop, second in the chain of command in Joe Maddon’s ‘pen, allowed a go-ahead home run to Stephen Drew in the finale prior to the game reaching extras. Other than this duo, only Travis Wood (6.00 ERA in 20 G) has a WAR in positive territory for Chicago’s bullpen. As the front office looks at ways to shore up the club’s roster, the ‘pen is the place to start. The list of available relievers is long as we head into trade season. Even if the Yankees do not shop Andrew Miller, Aroldis Chapman likely will be available. Other late-inning options, including Fernando Rodney and Fernando Abad, should hit the block as teams cross the line dividing buyers and sellers. We didn’t see any bullpen duels in the Cubs’ lopsided loss to the Mets in last year’s NLCS, but this part of the roster is clearly not as strong as the rotation or offense. Chicago’s vaunted offense trails only that of St. Louis in runs scored in the National League, but Scherzer (7.0 IP, ER, 11 SO), Strasburg (7.0 IP, ER, 8 SO), and Gio Gonzalez (6.1 IP, 3 ER, 9 SO) affirmed the old adage about great pitching beating great hitting. For those who argue that Lester and Arrieta would have their way with a less dominant Nats offense, it only works if they produce nine-inning shutouts. Otherwise, Washington has the arms to go head-to-head with the Cubs (or anyone). There have been bright spots for the Nationals’ offense since mid-May, with the club among the NL’s best in runs, slugging, and batting average through the second week of June. 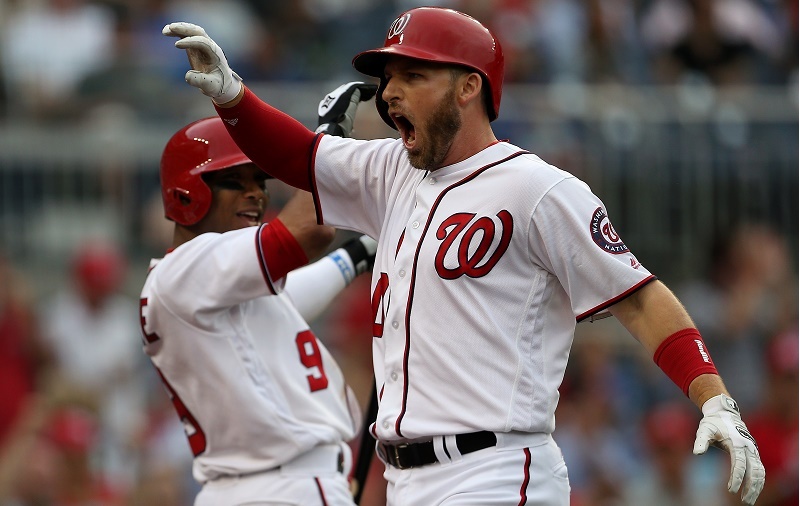 Jayson Werth, who produced the walk-off hit in the finale versus Chicago, showed signs of life over that stretch (.298, .864 OPS, 4 HR, 17 RBI in 26 G), while Wilson Ramos and Daniel Murphy remain the club’s most productive hitters. They’ve made Harper’s long slump a non-issue. 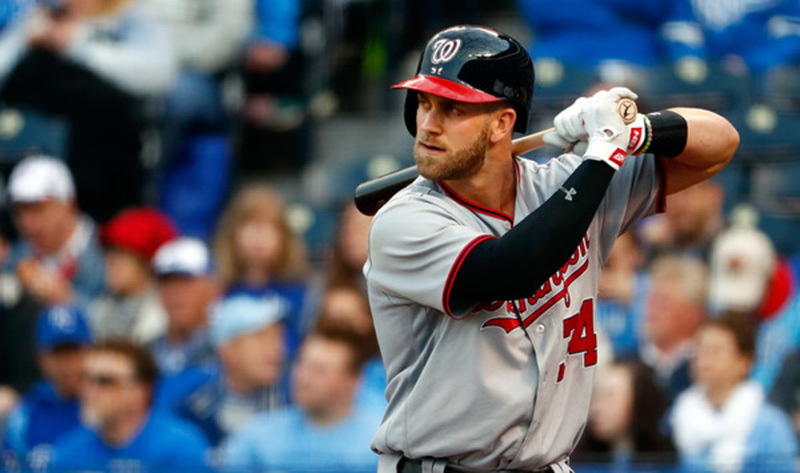 It is a testament to the team’s improved depth in 2016 that Harper could hit .226 (2 HR, 9 RBI) over a 26-game stretch while the Nationals continued to thrive. The Murphy signing has turned out to be one of the best of the offseason, and Anthony Rendon’s hot stretch has coincided with a renaissance from Drew (of all players) and impressive power output from Ramos (6 HR, 27 RBI in 27 G). Imagine what will happen when Harper snaps out of it. On Chicago’s side, the wildly hot start by Dexter Fowler has yielded more pedestrian numbers (.243, .749 OPS) since mid-May. The lackluster numbers from Jason Heyward (.234, 4 HR, 668 OPS) and Addison Russell (.237, 5 HR, .693 OPS) on the season have been another drag in close games. This team has some trouble driving home runners in scoring position and will need better clutch numbers to get through the postseason. As for Chicago’s chase of the best teams in baseball history, the club stumbled in the nation’s capital and left town with a 44-20 record, just four ahead of the Nats (41-25). That feverish pace of 117 wins, so pumped up by the media, disappeared, and the club fell behind even the 1998 Yankees’ pace (114 wins) after being handled by Washington. It was a reminder that this group has not won anything yet, and it could only play the game’s tanking teams so often. Come October, it won’t be any easier, and this Washington team is just one of the roadblocks standing between the Cubs and any World Series dreams. The wait may hit its 109th year after all.